A sweet representation of unity and togetherness! 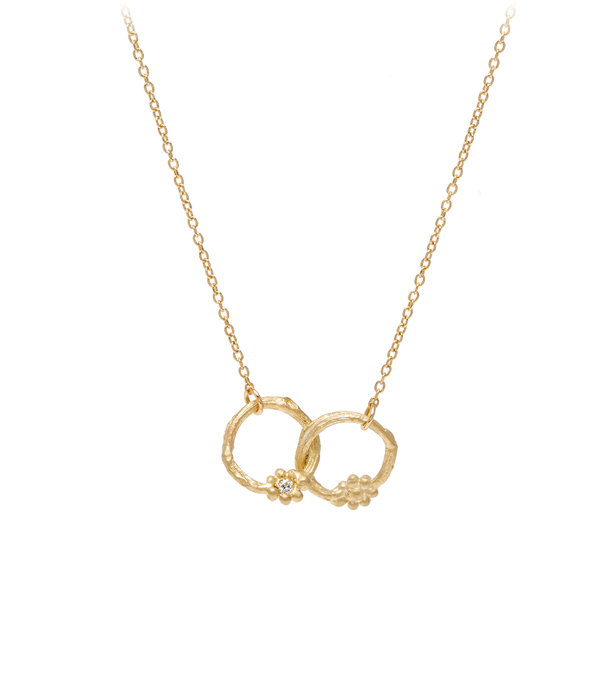 Two interlocking branch circles with tiny flowers and diamond accents symbolize love's unbreakable bond and make a perfect everyday piece. This item is shown in the sterling silver and 14K option and features a sterling silver chain. 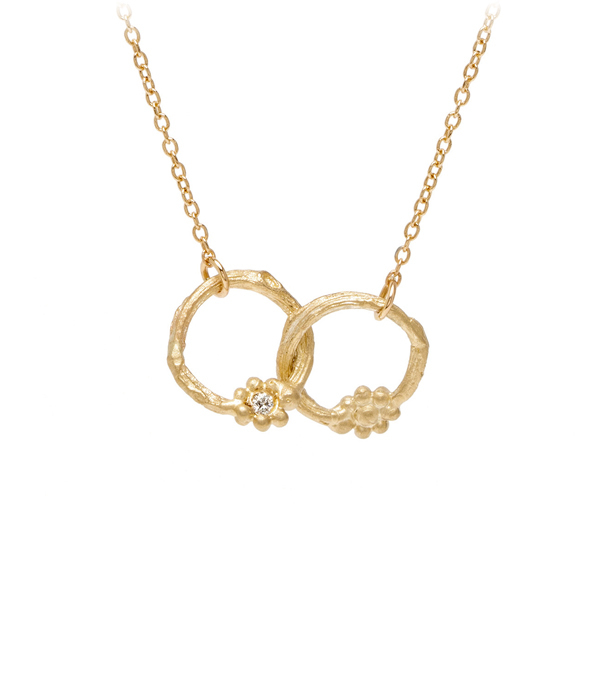 Also available in solid 14Y white, yellow or rose gold.